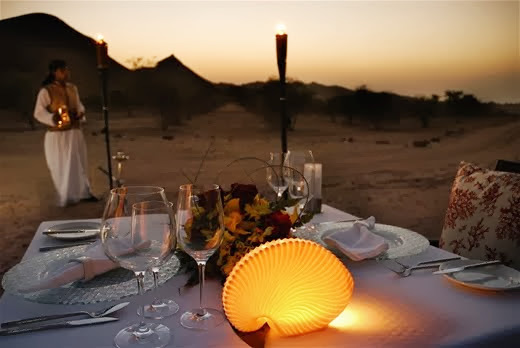 The seductive aromas and flavours of Middle Eastern cuisine take me through time and space. 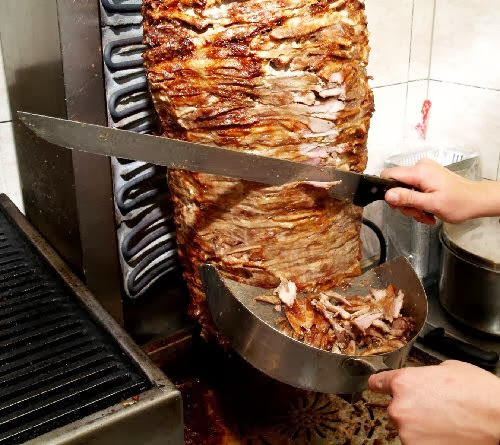 As I bite into a morsel of tangy, melt-in-your-mouth chicken shawarma I am quickly transported to the market squares of ancient Persia. 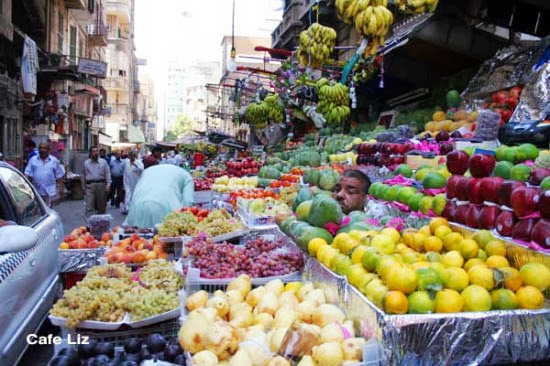 I envision rows of merchants haggling with foreign traders. Under the canopies shish kabobs sizzle on skewers and the poignant scent of exotic spice permeates the sultry air. I tend to have these fantasies when I sample dishes prepared by my friend, Chef Nihad Hazboun -owner of Grill 4U in Vaughan. In just a few years his Middle Eastern bistro has become one of the hottest eateries in town. Having only just become acquainted with his traditional cuisine a year ago, I am now hooked - not only to its delightful savouriness but also to its intriguing history. 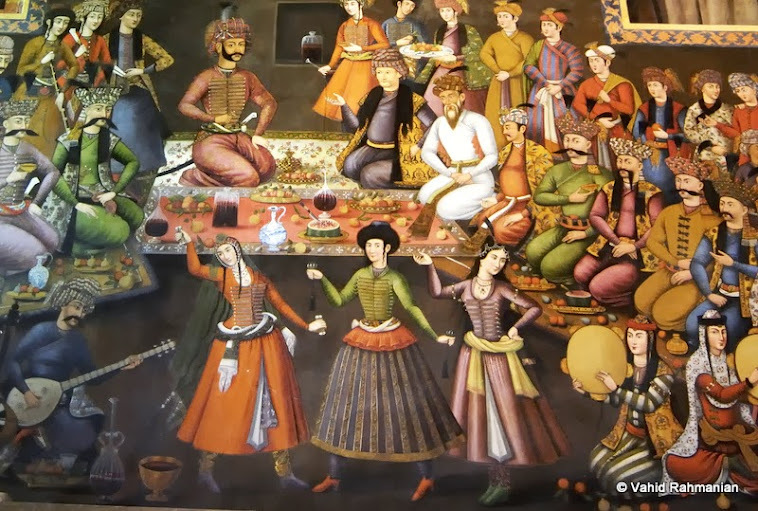 Perhaps the oldest cuisine in the world, Middle Eastern food has experienced a long evolution due to religion, climate and external influences. Back when man first mastered agriculture by cultivating the fields of Mesopotamia (in and around present-day Iraq), farmers had no idea they were changing the social landscape as well as inventing the art of cuisine itself. As growers of wheat and rice these ancient Persians gave birth to pilaf and pita flatbread. With the rise of trade markets spices such as cumin, nutmeg and turmeric made their way from the Orient and India, revolutionizing how food was prepared. Nomadic and Turkish tribes are accredited for kabobs and fire-roasted eggplant which today are considered Middle Eastern staples. 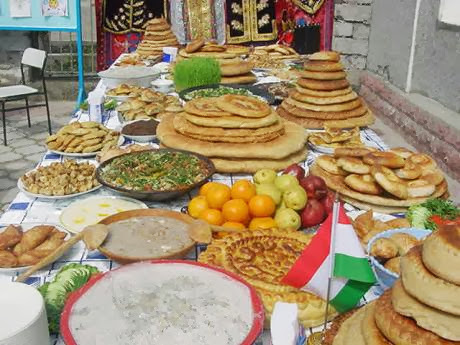 Eventually the cuisine spread beyond the borders of Persia. 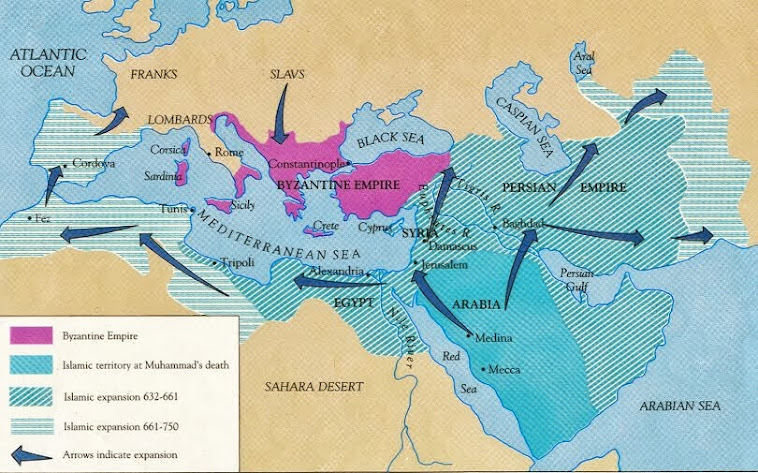 The Crusades of the Middle-Ages as well as the expansion of the Ottoman Empire (present-day Turkey) were responsible for its introduction into southern Europe and North Africa. Thanks to mediums like Dr. Oz and the Mayo Clinic who have praised the benefits of this Mediterranean Diet, the cuisine has become popular in the New World. With obesity hitting unprecedented heights, the diet is being recommended by health practitioners throughout North America. Staples such as chickpea hummus and pita wraps offer an excellent alternative to burgers and fries. 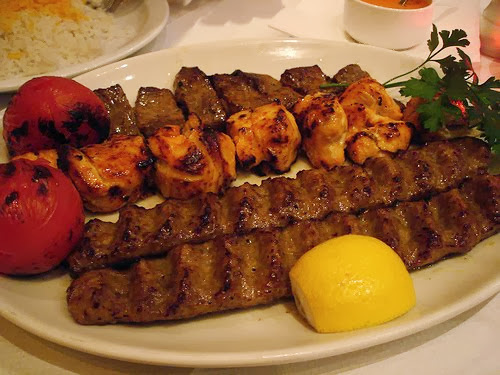 Shish Kabob - cuts of seasoned meat cooked on a skewer.